The aftermath of “Angie” for last night’s “4th Quarter 7:30pm” class. 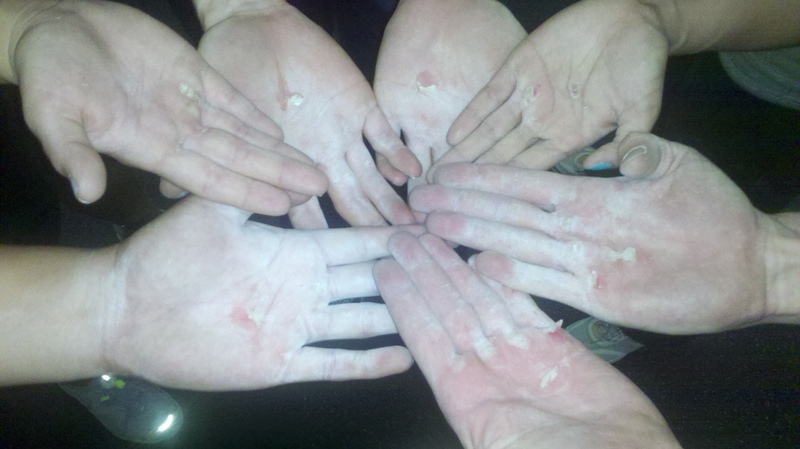 The 100 pull-ups gave about 4-5 people their initiation blisters. Welcome to the club guys and gals. 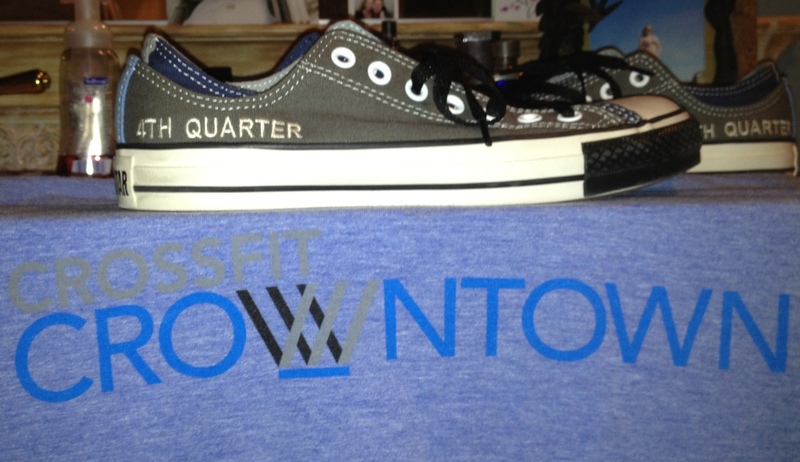 Speaking of “4th Quarter” class, check out these pics of custom shoes that Derek G. sent me. If this isn’t dedication, I don’t know what is. 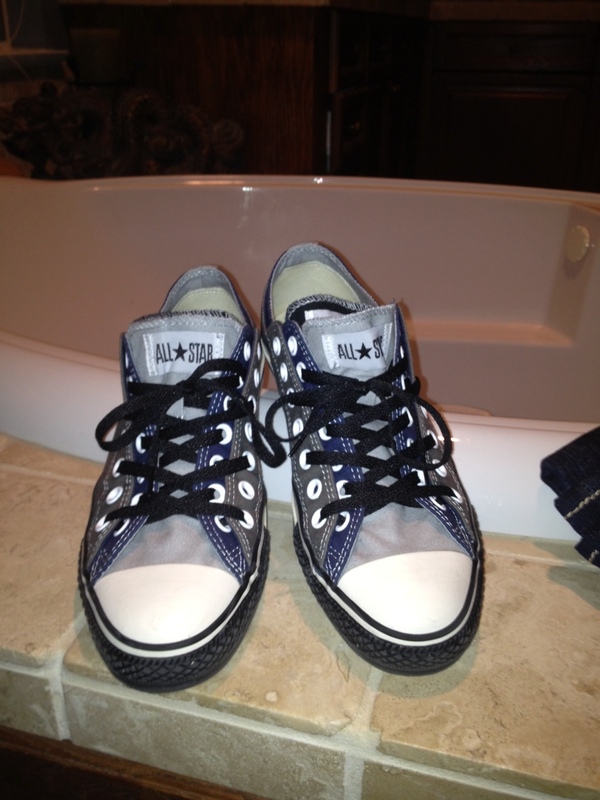 Sick shoes, Derek. 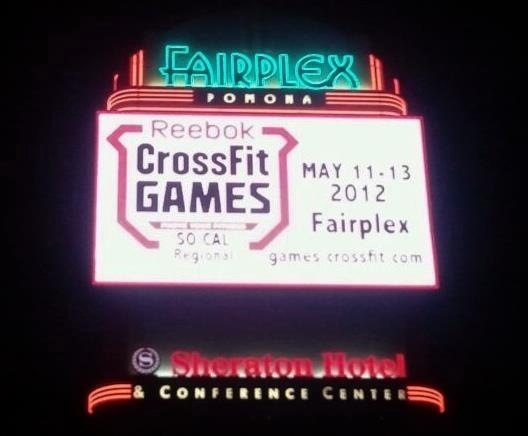 May 11-13: 2012 Reebok CrossFit Games SoCal Regional Competition. WW will be competing and invites all of you to come out and support him, as he battles against 60 of SoCal’s fittest athletes for 1 of 3 spots to move on to the finals at The Home Depot Center in July. Click on this link for detailed information and to purchase tickets.. There will be no classes on Friday/Saturday, May 11-12. Instead the 6:30am & 8:30am classes will be on Tuesday, May 8th and the 12pm & 1pm classes will be on Thursday.